Friends of Redlands Trails Trail Care Day March 2001! 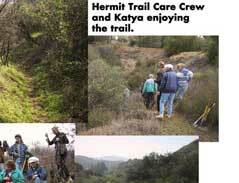 - A couple weeks later Katya and I enjoy the fruits of hard labor Hermit Trail looks good! Well if all you thought Redlands was good for was the largest stage road cycling race in the United States, think again. 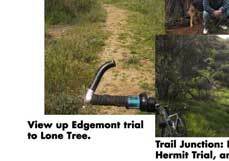 Redlands has a bounty of trails that lace it South Side and connect nearby San Timoteo Canyon with Crafton Hills and the Santa Ana River. 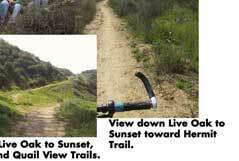 This is just a sampler of about 20-30 miles of trails throughout the town! The Redlands Trail Committee, of which I am a former member is actively working to preserve this rich network of trails for future generations to enjoy. 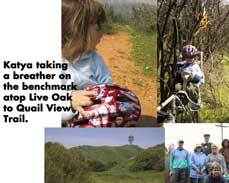 Katya and I sure love the trails I bet your kids will love them too! More photos coming soon.